A seriously educational old-school mix of some of the faster, more agresive joints in hip-hop history. Beautifuly mixed. 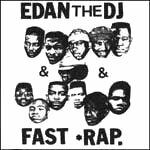 All records mixed by EDAN!